You won’t need a coat and tie to wear to dinner, nor will you have to worry about tracking mud on the carpet. No one will be offended by your cigar smoke or your drink spilled laughing around the campfire. You will catch fish till your arms are sore and your back aches, and you’ll take home a box of Kanektok treasure for your efforts. Welcome to Alaska! The Kanektok is a fish factory. With runs of all five species of Pacific salmon, rainbow trout, Dolly Varden and grayling, the river provides a great mix of quantity and variety. Our location on the river, 5.5 miles from its mouth, puts us in a unique position to sample the variety the river has to offer. Downriver from our camp is the larger water, including the long gravel bars where the kings hold, the deep snaggy channels where the big rainbows lie, the backwaters that load with silvers and the tidewaters full of salmon fresh from the salt. Upriver from our camp, the river makes a transition to smaller water, side channels and tributaries. These sections allow hiking up channels for rainbows, targeting salmon in smaller water, making day-long drifts fishing for “anything” and working extremely productive dolly flats. 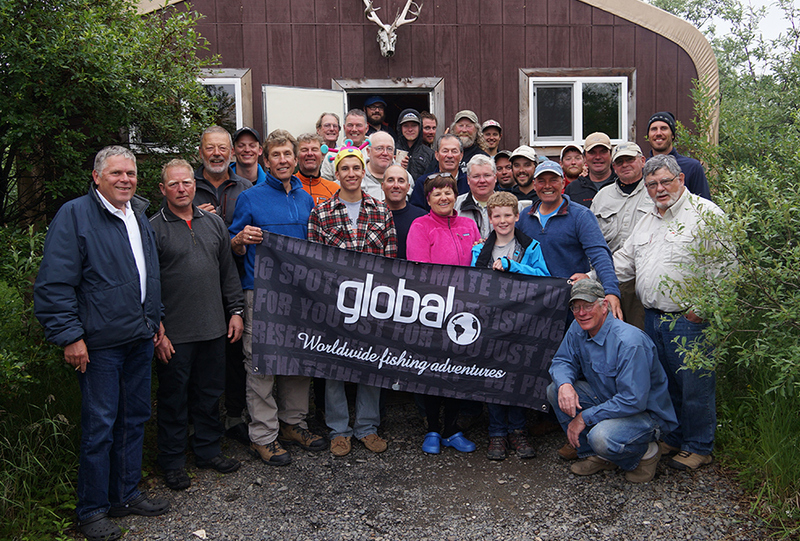 Our season at Alaska West on the Kanektok River is only 12 weeks long, but things change quickly during that period. Summer in Western Alaska is short! A lot happens between on the river between May and September – ice goes out, runoff comes and goes, five salmon species enter the river and spawn, rainbows, dollies and grayling have a feast on salmon eggs and flesh and before you know it the days are short and the morning frost has returned. If you’re planning a trip to the Kanektok, it’s important to understand the river’s run timing – this chart will help. From mid-June to mid-July, king salmon are the most popular target, with rainbow fishing picking up in July as well. The second half of July provides a shot at the salmon grand slam (all five species, all on flies, in one day), and the most varied rainbow fishing. In August and early September, silver mania sweeps the Kanektok and the trout just keep getting fatter as fall arrives. It’s at least three fisheries in one – take your pick! Our season is only 12 weeks long, but things change quickly during that period. From mid-June to mid-July, king salmon are the most popular target, with rainbow fishing picking up in July as well. The second half of July provides a shot at the salmon grand slam (all five species, all on flies, in one day), and the most varied rainbow fishing. In August through the beginning of September, silver mania sweeps the Kanektok and the trout just keep getting fatter as fall arrives. It’s at least three fisheries in one – take your pick! The lounge is great place to relax after a full day of fishing. This large heated tent is furnished with comfortable chairs and tables. At your disposal are a refrigerator with cool soda, juices and mixers, poker chips with cards, board games, dart board, magazines, books, map board, telephone, satellite television and an online camp computer. We also have a fly tying bench with a limited supply of fly tying materials and vises.